New episode of The Corpse Cast is up and out! 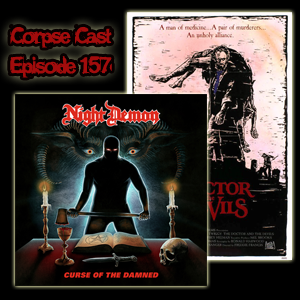 This week we’re talking about a horror-metal trio called Night Demon and their album called Curse of the Damned from 2015. We also get some Burke and Hare action with The Doctor and the Devils from 1985.